Hello, Happy Sunday. Hope you are having a wonderful weekend. Today I am sharing my card using one of the new sets from Doodle Pantry this month, Heart On Fire which is also the featured set for this month's challenge at the Doodle Pantry Blog where you can enter our challenge and get this set for free through the 24th of January. Now you may be saying....what are the flowers on a burning heart for???? In my mind (and no comments on that please!) 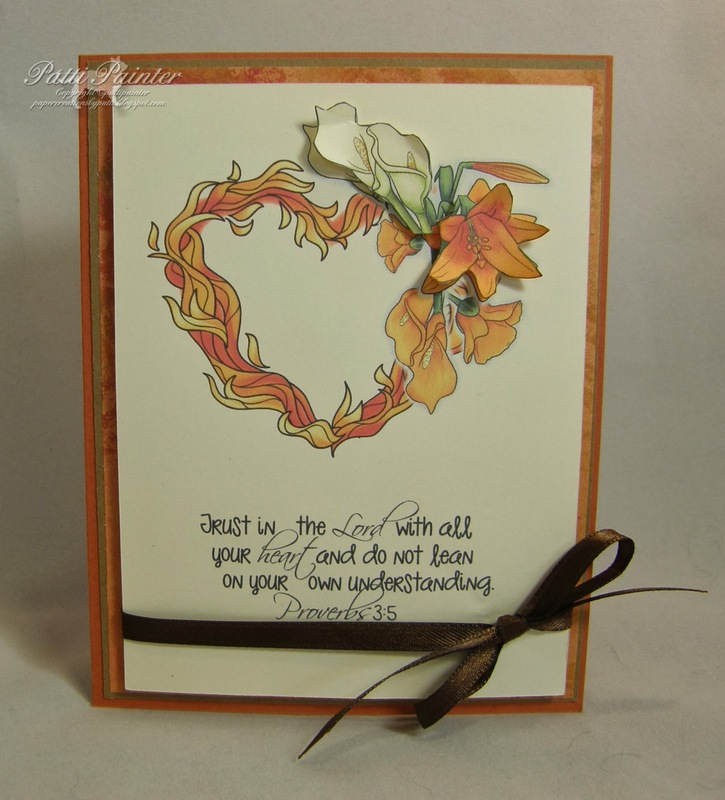 I see a heart shaped grapevine, so I added flowers from the Lily Collection Color plus set. I printed both Calla and Asian lilies on my heart, copying and pasting a few extra and cutting those to pop up on the heart also. newly released set this month, Heart For God . I also did an offset and cut out one additional lily to add to the inside, sorry for the blur in the picture. You still have time to join in at the blog for this month's challenge and get this set for yourself. 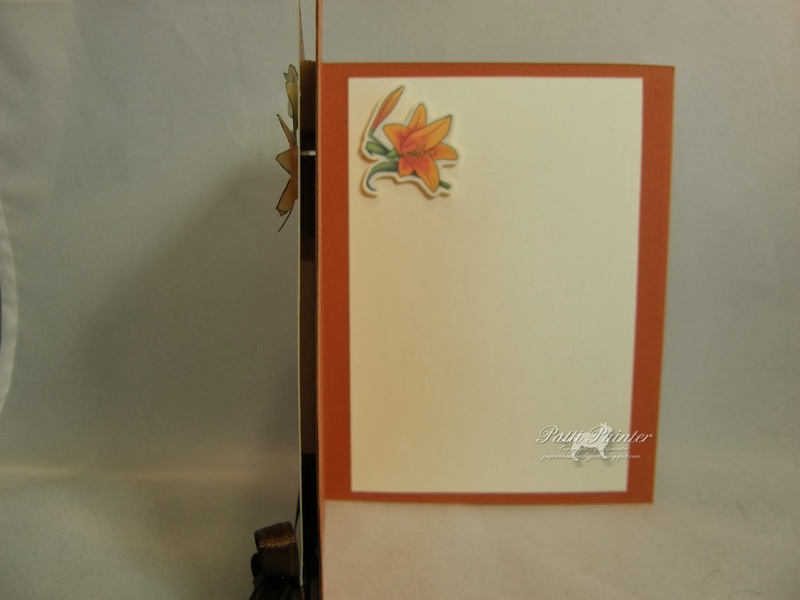 Digitally Sweet Challenges - Anything Goes - you get two entries for all digital which my card is. What a gorgeous fiery garland - and beautifully coloured, Patti. Happy Sunday to you too! Beautiful combination of images. Wonderful work, Patti. Lovely card, Thank you for joining us at Digitally Sweet! Hi Patti! Please except my apology for the crazy linky at Fussy and Fancy! I have deleted your entry. Can you please go back and enter it again? I can't without your e-mail address/or I would do it for you. Your card is BEAUTIFUL! Thank you for joining us at Fussy and Fancy! I love your card. Especially how you incorporated the flowers into the heart. Thank you for joining us at TTCRD. WOW!!! Girl that is gorgeous!!!! I love the image and added flower! I love that you put the flowers on the heart, really defines the heart more. Lovely use of this heart design...great with the additional flowers. Hugs! Lovely card, kind of serene. Good luck with our Fussy and Fancy Challenge. So cute & chic card. I love colors. Thanks for playing with us at Fussy & Fancy challenge.